2:23 AM low -0.2 ft.
10:16 AM high 1.4 ft.
1:42 PM low 1.2 ft.
6:32 PM high 1.6 ft.
How to reach: To reach the tidal bench marks from the Post Office at the corner of Commerce and D Streets in Apalachicola, proceed north along D Street one block to Water Street, then NW along Water Street for 0.32 km (0.2 mi) to the U.S. Coast Guard Light Attendant Station. The bench marks are located throughout the city. 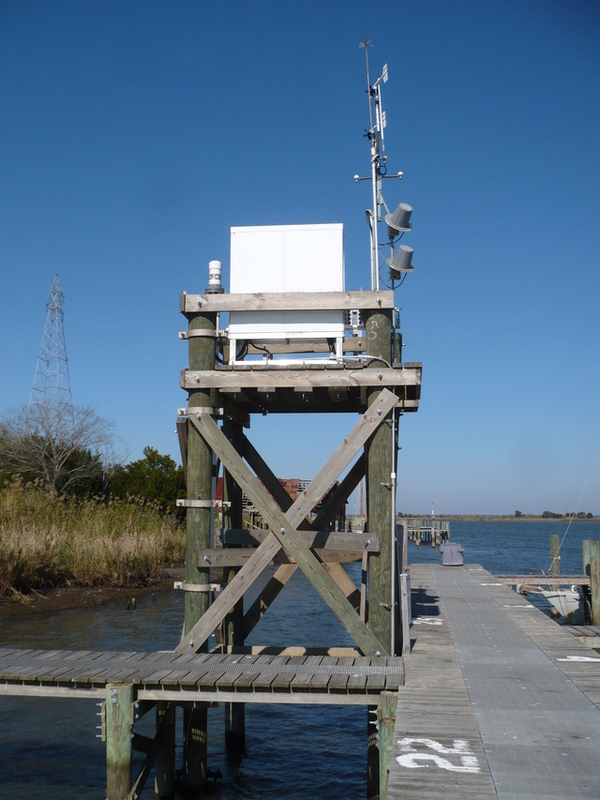 The tide gauge is located on the west side of the Apalachicola Municipal dock.